Since Taco Nights are the favorite night of the week for the entire H&G family, the collab we did over the past month was a complete dream. We’ve searched high and low and La Tortilla Factory makes the best tortillas—no store-bought tortilla we’ve ever tried compares to theirs. We’re now officially BAFs (best amigos forever) and we’re so grateful they sponsored these amazing recipes and ideas to make taco nights the most special night of the week. So punch in your zip code, buy a huge stash of Hand Made Style corn & flour tortillas, or order online, and let’s get these taco parties started. 1. You can buy all the ingredients without a shopping list. Besides tortillas and toppings, you only need to remember 3 other ingredients—chicken, fajita seasoning, salsa verde. 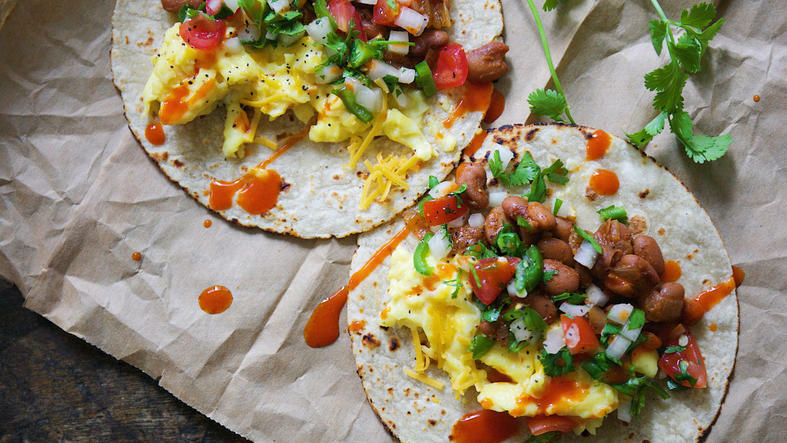 Better yet, keep it all in your pantry/freezer so you’re never without Taco Night provisions. 2. There is no group too large that this recipe can’t handle. You can double, triple, quadruple it infinitely without crazy calculations, as long as the pot is big enough. 3. Prep is less than 10 minutes. Season, sear, season again, dump the salsa. Let it do its thing for either 4-5 hours in the slow cooker or 2 hours in the oven. You can also make it the night before and simply reheat the next day. And if you want to truly take this to taqueria level— La Tortilla Factory’s “Hand Made Style” corn tortillas. They’re simply the best—non-GMO, soft and pliable (they won’t break… because crying over spilled tacos is understandable), and authentic-tasting. Add this Hibiscus Iced Tea to your plan for a refreshing super simple drink. These are hands-down one of our top go-to things to make on the grill, especially when we know people are coming over. Chicken, zucchini, yogurt, cucumber, dill, tortillas—6 ingredients we know by heart for grabbing at the store at a moment’s notice. It’s really a crowd-pleaser. We especially love flour tortillas here. You could pair with a simple Gin & Seltzer and this super fun playlist: Greek Taco Night. There were eras of Greek music that were jazzy and Bossa nova-influenced, and modern-day Greek swing bands too—this mix is so perfect for a fusion taco night. As summer approaches, we wanted you guys to have this taco in your recipe arsenal. It’s just the thing when you want breakfast for dinner or an amazing protein-packed breakfast to start your weekend right. Play these tunes. 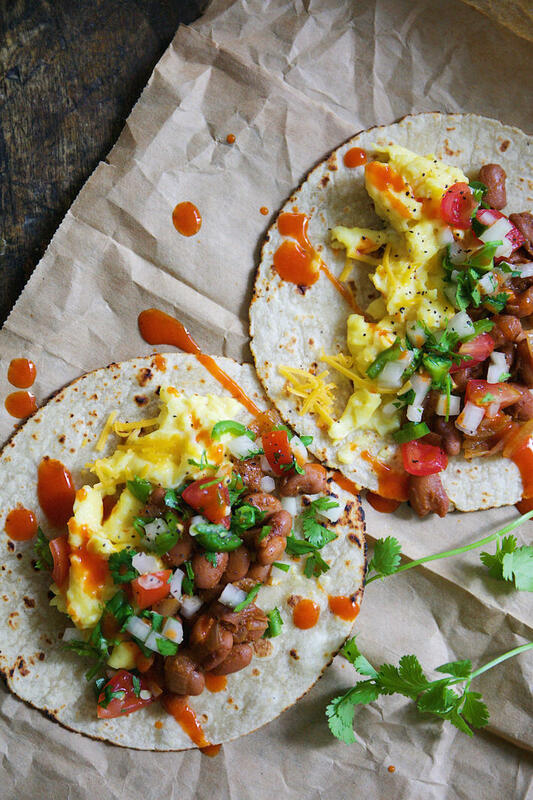 Then eat these breakfast tacos outside first thing in the morning when the air is coolest and breeziest. Make a pitcher of Strawberry Agua Fresca and have friends over.